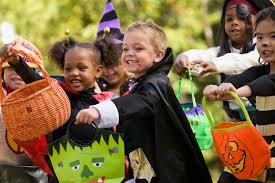 Children of all ages are invited to dress up in their Halloween costumes and join in the Lake Orion Halloween Parade on October 28 in downtown Lake Orion, MI. The line up for the parade begins at 5:45 p.m. at the Ehman Center and the parade begins at 6:00 p.m., traveling south on Broadway Street and ending at Children’s park. Donuts and cider will be served at Children’s Park and many downtown businesses will be handing out candy for trick-or-treaters following the parade.